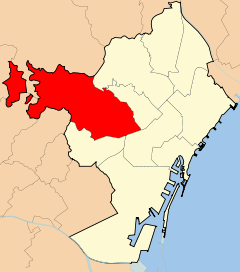 This district is a recent fusion of what once were two separate areas. Sarrià has been populated for many centuries and was the last district to be annexed by Barcelona in 1921, which is why it retains many unique features. Originally centred on a very rural society, there was a shift in its population starting in the mid 19th century when more affluent citizens chose to live here because of its beauty and peacefulness. 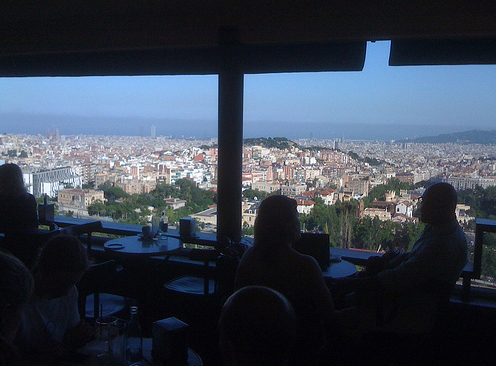 It was seen as one of the wealthiest areas of Barcelona with extravagant mansions built around the area. It does, however, still retain many of the traits and buildings of the old neighbourhood. Sant Gervasi, located near Tibidabo, has always been a popular area to live and visit because of its beautiful location. It was discovered by Barcelona’s elite before the 19th century and declared its independence from Sarrià in 1714. You will find many majestic, large houses in this area of Barcelona. Accommodation in Sarrià-Sant Gervasi is still some of the most sought after in Barcelona today. This neighbourhood is populated by the more well-to-do residents. It has a very different ambience to downtown Barcelona, which is a magnet for tourists and foreign residents who want to be right in the middle of all the action. Foreigners living here are attracted by the proposal of living like a local, as well as the quality of accommodation and lifestyle they find here. The district of Sarrià-Sant Gervasi has several beautiful green spaces such as the Turó park. Its proximity to Tibidabo offers easy access to the top of this mountain, which is famous for its amusement park, with the carousel from the movie ´Vicky Cristina Barcelona,´ and the magnificent Sagrat Cor church. If you go on a clear day, you will see some of the most amazing views of the city. 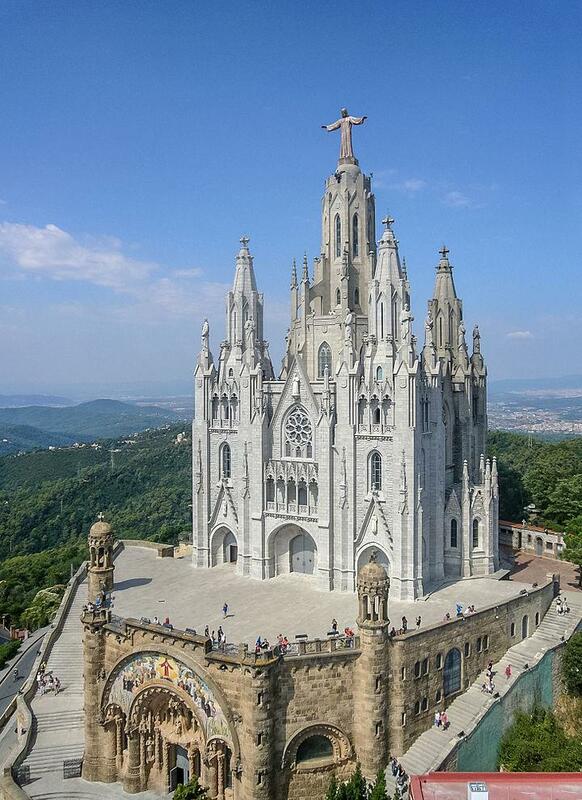 You can spend a whole day exploring and enjoying Tibidabo and the surrounding Collserola Natural Park. Another place worth visiting is the CosmoCaixa science museum, which is a perfect place day out for all the family. Located away from the city centre, you’ll find many exclusive, high-end boutiques and shops in these districts. Take a stroll down Carrer Major de Sarrià to check them out, or enjoy a traditional meal in one of the many quality restaurants along this street, such as Bar Tomás on Carrer Major de Sarrià, 49, which is renowned for its excellent patata bravas. Another local favourite is Tram-Tram, Carrer Major de Sarrià, 121. This is located in a traditional old house and serves creative signature cuisine. The L3 metro line passes by the eastern side of Sarrià-Sant Gervasi, but most of this area is not easily accessible by metro. 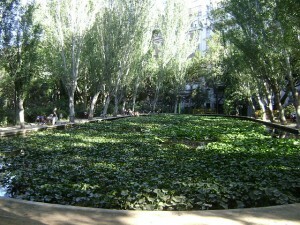 The best way to reach the district is via the FGC train from Plaça Catalunya. There are also trams that cross the Zona Alta. Next time you are in Barcelona, take a walk on the stylish side and get a taste for this elegant district. Barcelona off the beaten track doesn’t get much better than this! This entry was posted in Home, Neighborhoods and tagged areas in barcelona, barcelona neighborhoods, barcelona tourist guide, sant gervasi, sarria, tibidabo, tibidabo adventure park barcelona, towns barcelona. Bookmark the permalink.